The Daniel Radcliffe comedy 'Swiss Army Man' (A24) expands and struggles to stay afloat. The Independence Day weekend tends not to be a big one for specialized audiences. Upscale viewers, particularly in the biggest cities, often pursue other interests, many of them out of town. But prime theaters still need new product, offering opportunities for new releases to take their shot. The best among the limited openers this weekend was the Polish-French nun story “The Innocents” (Music Box), bucking the recent trend of weak subtitled films. Next best among the limited new releases was the heart-tugging Sundance autism documentary “Life, Animated” (The Orchard) which nonetheless opened a little below some other recent docs. 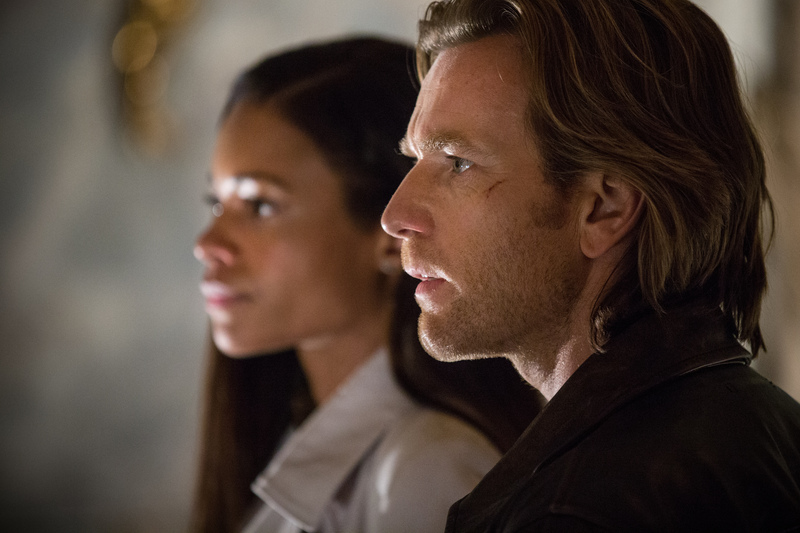 Going wider initially was “Our Kind of Traitor,” the latest John le Carré thriller, which fell short of Roadside Attractions’ “A Most Wanted Man” two years ago. 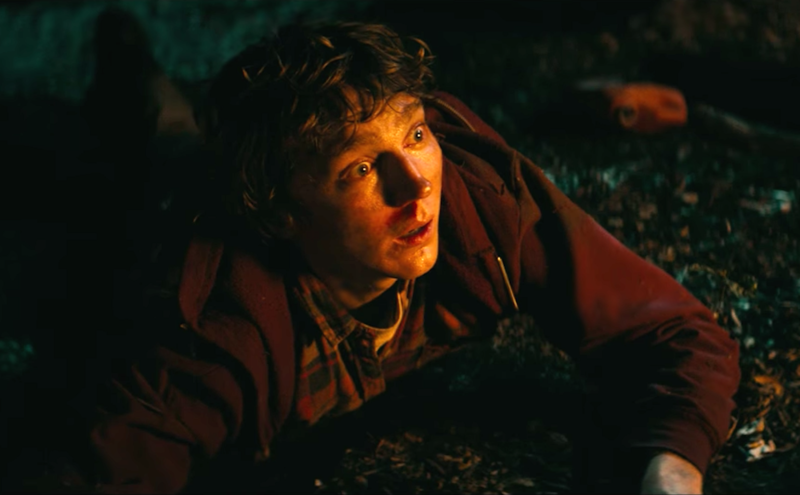 The limp second week expansion of “Swiss Army Man” (A24) showed that its strong initial limited response was tough to replicate, at least this quickly, among wider youthful audiences. John le Carré novels have been adapted for more than a half century going back to “The Spy Who Came in From the Cold” and continue to provide fodder for film and cable, most recently “The Night Manager” for AMC. Roadside Attractions, which enjoyed major crossover success for “A Most Wanted Man” two summers back, acquired “Our Kind of Traitor” with hopes of replicating its performance. Though this managed to corral the #12 spot for the weekend, with a PTA ahead of #11 “Swiss Army Man,” this Morocco tale of British civilians tangling with Russian mobsters lacked both the reviews that boosted “Wanted” and a lead equal to Philip Seymour Hoffman. The gross came in at less than 40% of the earlier film, and the initial reaction— a 24% Saturday increase compared to 59% for the earlier film—also looks weaker. The performance comes in at roughly half the level of the distributor’s “Love & Mercy” last summer. What comes next: Roadside, despite regularly opening wide, often expands further to get to a strong multiple from the opening (“A Most Wanted Man” and “Love & Mercy” both got to over $12 million). This has less potential to sustain a continued run. Among art house subtitled releases, this ranks as high-end this year, second only to “Embrace of the Serpent” (which managed $17,000 on its way to a $1 million+ total). Music Box hit paydirt two summers ago with another Polish-set film, the Oscar-winning “Ida” (initial PTA $18,000), which also boasted a convent setting. Directed by French veteran Anne Fontaine, the film is set in the months after World War 2, as a relief worker encounters nuns dealing with the trauma of multiple rapes by Soviet liberators. It had a strong 61% increase on Saturday. What comes next: Music Box plans an aggressive expansion for this, starting with added runs in its initial New York/Los Angeles markets plus six other cities. They have marketing tie-ins with church and religious groups reaching beyond normal big city specialized viewers. 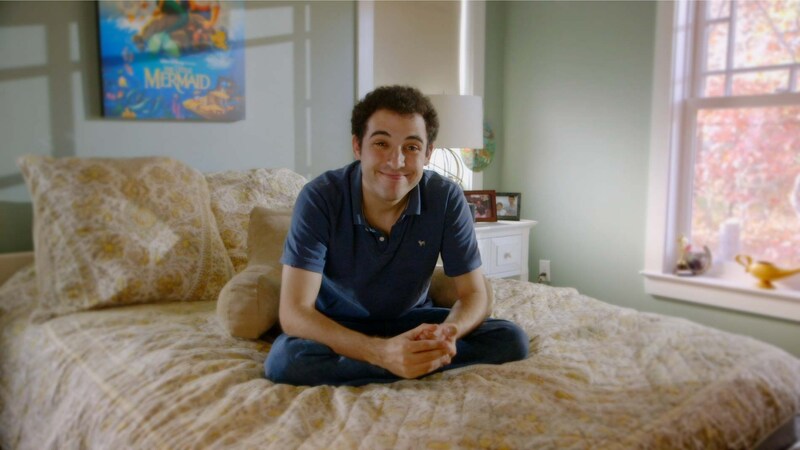 Another Sundance doc, this one focused on an autistic youth brought to life by exposure to Disney animated films. This scored decent reviews (but not in the New York Times, which hurt) and strong initial theater placement to reach a modest initial number. The good news is a very strong 71% Saturday gross increase that could mean some very strong word of mouth. What comes next: The Orchard plans an aggressive big market expansion ahead counting on its subject and interest from support groups to buttress regular interest. Michel Gondry’s latest offbeat French effort was showcased at two Landmark locations in New York and Los Angeles, with mixed results following some good reviews. It got a decent 23% second day increase suggesting positive reaction. What comes next: Six more markets are planned on July 15 as part of the national expansion. The Coen Brothers’ debut future got a date at Manhattan’s Film Forum, and had a showing in the range of my of the classics at this venue. What comes next: This should see dates at similar repertory-friendly locations around the country. The very good initial response to this inventive Sundance comedy favorite was followed by a very big initial wide leap. Though this made sense with the combination of younger appeal, social media interest and the holiday weekend, the result is not impressive. The total falls much ahead of the disastrous opening of Nicolas Winding Refn’s “Neon Demon” last weekend, but as a PTA as well as compared to similar attempts, it’s mediocre. A24, expert in outreach to a wider, more youthful specialized audience, pushed its documentary “Amy” to about half as many theaters last summer on its second weekend, and grossed more, about $1.8 million. “Ex Machina” in only 39 screens in its initial expansion did $799,000 in only 39 theaters. Their first hit “Spring Breakers” went even wider — 1,104 theaters — to reach $4.8 million. Roadside release “Love and Money” a year ago initially in 481 theaters took in $2.1 million. Getting as many top theaters in the heart of the summer is a real credit to the company. But it appears that fewer than 10 will gross as much as $10,000 for the three days at a time when at the best ones that sort of number is at the lower end of adequate first weekend performance. And for many of the theaters, it ranks behind most other grosses, including many in their latter weeks. The 12% second day drop isn’t unusual for a new release or a film with a younger profile, but also doesn’t indicate initial strong positive reaction, which will be needed to sustain a run. The gross is good enough (unlike “Neon Demon,” which against industry norms lost most of its theaters its second weekend) to get a another weekend and see if its early initial interest translates into further viewing. But at this point, this doesn’t look like it will sustain a long run or become one of the top specialized releases of the year. Todd Solondz’s latest, a multi-segment ensemble cast story centered around a dachshund, showed little life despite continued decent reviews and its director’s early-career success. It’s tough to sustain theaters with the awful gross this hoped-for wider interest Nicolas Winding Refn future cult film got last week, but about a quarter did, to similar low results and the likely end of its theatrical life. The odd pairing of an outdoorsman and a lost boy in New Zealand shows some life in its second week expansion with a reasonable showing and a healthy 49% Saturday uptick. This looks to have prospects for more expansion and some crossover appeal in this hit-deprived specialized summer so far. The latest French release from Cohen (handling more films from that country than anyone else these days) had modest results not quite up to the reviews this festival-highlighted missing girl film has gotten. Mediocre results continue for this doc on the rock legend as it adds other top cities in its second weekend. This Israeli drama expanded to Los Angeles this weekend with some modest sampling not quite at the level of its exclusive New York debut last week. Once again this Jane Austen adaptation leads among longer run specialized releases and actually improved its PTA, suggesting it has a chance of hitting $15 million. The surprise specialized success of the summer continues to hold on well in remaining theaters as it approaches a very impressive $8 million. Another week sustaining grosses close to its previous level, with Greta Gerwig’s latest comedy now ahead of her summer 2015 effort “Mistress America,” and looking to add more as it plows forward. New York’s pre-World War 2 literary scene didn’t provide the interest that other recent biofilms have despite Roadside’s backing and a top cast. It has struggled to hit $1 million and won’t go much higher. Who cares about VOD? The Sundance winning doc continues to have a very healthy theatrical life, ahead of nearly all other similar releases this year. The PTA fell by more than half with the further expansion of this performance world-centered doc that still is getting some art house attention. This Welsh countryside-set horse racing doc has had one of the more remarkable results of the year. It started with only an initial $13,000 total gross in three New York/Los Angeles theaters, yet has found a decent life in smaller markets across the country. This is a case where SPC’s outreach and standing as well as usual access to most specialized theaters really paid off. Late in the run numbers keep pushing this British academic biopic closer to $4 million, putting it in the upper range of recent specialized releases. The grosses are holding well at a modest level for this Sundance doc that turned into a real-life detective story as its directors got deeper into the cult portrayed.